Would You Like A Complimentary Makeover Today? LookMe responds to all Bridal enquires within 24 hours. LookMe offer a full Wedding Hair and Make up service. From classic bridal styles to vintage and whimsical wedding themes, we love creating each individual style to make you look and feel beautiful on your special day. Professional beauty products are always used to create the perfect look for you and to offer beautiful results that last. Please register your details with us regarding wedding hair & makeup and we will call you to discuss your individual requirements. A bridal hair and make up trial is the perfect opportunity to decide upon a style for your big day. It allows plenty of time to discuss different styles, ask questions and go through any pictures you may have gathered for inspiration. Once we have created a look you feel happy with, we can then add any hair accessories, tiara's or veils if you have them available for your trial. If you are opting to go for flowers as your main hair accessory, we will happily advise what flowers will be suitable and how many you will need for the wedding day. Appointments for your hair and make up trial take place at your home or chosen venue and will last until you are 100% satisfied. On your wedding day, the hair & makeup look decided upon from your Trial Run will be recreated exactly along with any tiaras, veils and hairpieces. We always allow plenty of time for all your styling and aim to create a relaxed and calm atmosphere on your special day. 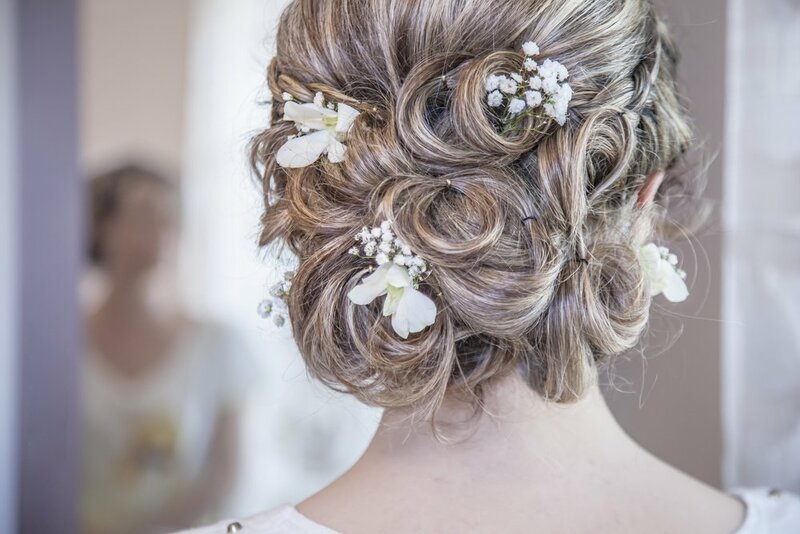 The Bridal Hair and Make-up package requires a deposit of £100 when contract is signed, with the remainder for Bride and entire Bridal Party due on the day of services. 72 hours prior to the wedding start time, a final estimated headcount will be set. We understand things change so reasonable adjustments are accepted on day of wedding.